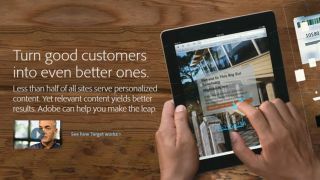 Adobe has released a major update to its cloud-based marketing platform, Adobe Target, which it claims helps organisations optimise their websites and mobile apps to improve sales. The company says that the new version features a completely redesigned, touch-based interface that takes users through testing digital offers and personalising web content for specific audiences. One of the major emerging battlegrounds for marketers today is mobile, and Adobe claims that Target's revamped mobile app optimisation capabilities lets marketers tailor campaigns for app users based on engagement metrics - such as first launch and the number of launches or days since last use. Additionally, it says that the update helps organisations convert more website and mobile visitors into customers while building loyalty among existing clients through a number of new features being rolled out. They include a Guided Testing & Targeting Workflow that provides a step-by-step framework with built-in best practices for creating and implementing the most effective A/B testing and targeting activity. Adobe has also updated its Visual Experience Composer to allow marketers to create unlimited variations of content directly on a web page, including offer and image swapping, as well as colour, text and design changes. Other enhancements to the latest version include Custom Audience Library (a central repository for creating and re-using audience segments for targeting), real-time interactive reporting with graphical views, and further integration with Adobe's other cloud solutions from a centralised platform that includes new social features.